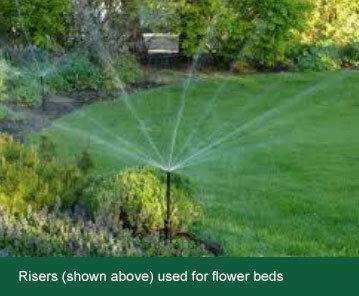 Install separate irrigation zones for the flower beds and for the grass. Grass will not die if left without water over winter whereas areas of the garden may need constant water. 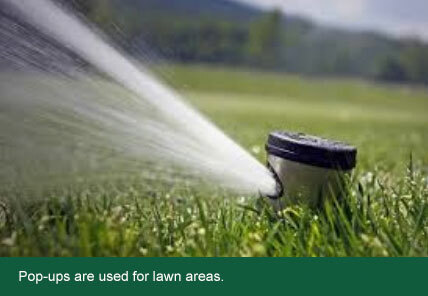 Pop-up sprinklers are typically used for grass areas as they disappear when not in use. Risers are used for flower beds to allow the water to spray above the plant level. Micro misters are used for narrow beds and to cover difficult to reach areas in the flower beds. Manual irrigation systems are cheaper to install but require the separate taps to be switched on and off every 8 / 10 minutes. An automated irrigation system is driven by a controller and solenoids (electronic taps) which switch on and off at pre-determined intervals and without human intervention. 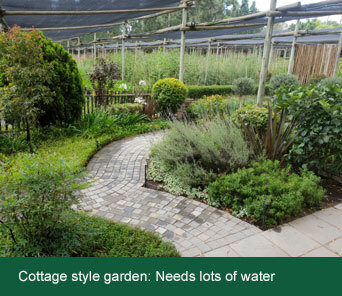 This enables you to control the time that the irrigation switches on and off to avoid watering in the heat of the day. included in the landscaping consultation. 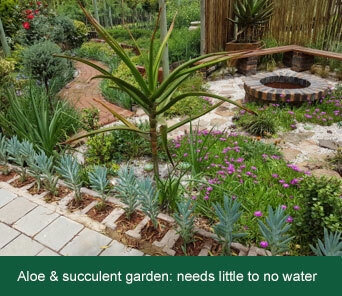 water pressure is too low to drive an automated irrigation system).